Particle moving on a plane for BC – the parametric/vector question. 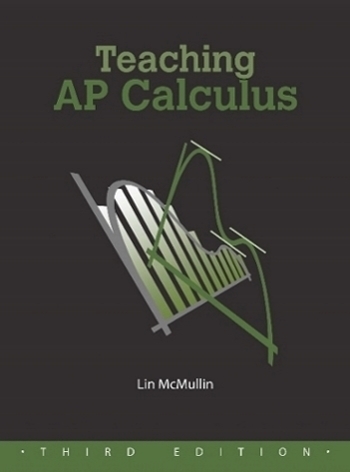 I have always had the impression that the AP exam assumed that parametric equations and vectors were first studied and developed in a pre-calculus course. In fact many schools do just that. It would be nice if students knew all about these topics when they started BC calculus. Because of time considerations, this very rich topic probably cannot be fully developed in BC calculus. I will try to address here the minimum that students need to know to be successful on the BC exam. Certainly if you can do more and include a unit in a pre-calculus course do so. Another concern is that most textbooks jump right to vectors in 3-space while the exam only test motion in a plane and 2-dimensional vectors. In the plane, the position of a moving object as a function of time, t, can be specified by a pair of parametric equations or the equivalent vector . The path is the curve traced by the parametric equations. The velocity of the movement in the x- and y-direction is given by the vector . The vector sum of the components gives the direction of motion. Attached to the tip of the position vector this vector is tangent to the path pointing in the direction of motion. The length of this vector is the speed of the moving object. Vectors may be written using parentheses, ( ), or pointed brackets, , or even form. The pointed brackets seem to be the most popular right now, but any notation is allowed. The slope of the path is . Find the extreme position (farthest left, right, up or down). Given the acceleration and the velocity at some point find the velocity by integrating; given the velocity and the position at some point find the position by integrating. These are really just initial value differential equation problems (IVP). Dot product and cross product are not tested on the BC exam. I’m wondering why, given that what is tested on the AP exam in Parametrics is consistent and clear, it is almost impossible to find this material presented clearly in Calculus textbooks, with good problems that enable students to develop the necessary skills. I have a hodgepodge of problems I’ve gleaned from a few old texts, and spent an hour today looking through a dozen textbooks for good problems. My only success: a copy of Thomas from 1972! I agree with you. Almost all textbook go right to 3D vectors and do little or nothing with 2D such as on the BC Calculus exams. The exception is “Calculus” by Finney, Damana, Waits and Kennedy which has a full chapter on 2D parametric equations and vectors.